The lower eyelids are the most complicated area of the face. They have important function, to protect the eyeball, and also have a complex anatomy. As an oculoplastic surgeon, I have a great understanding of the eyelid anatomy and how it functions to protect the eyeball. In my experience, it is essential to choose a surgeon who has a deep understanding of the eyelids, and who performs lower eyelid surgery as a regular part of their practice. I personally love the TC approach for a young patient who have lower lid eye bags. I see a lot of young people who have eye bags that started to show up sometimes as early as their late teens. These patients are excellent candidates for the TC approach. With a TC approach, the surgery is relatively quick, and recovery is fast. Usually, within a few days, patients are back to work and normal activities. Because there is no incision on the skin, and no stitches, healing is quick. 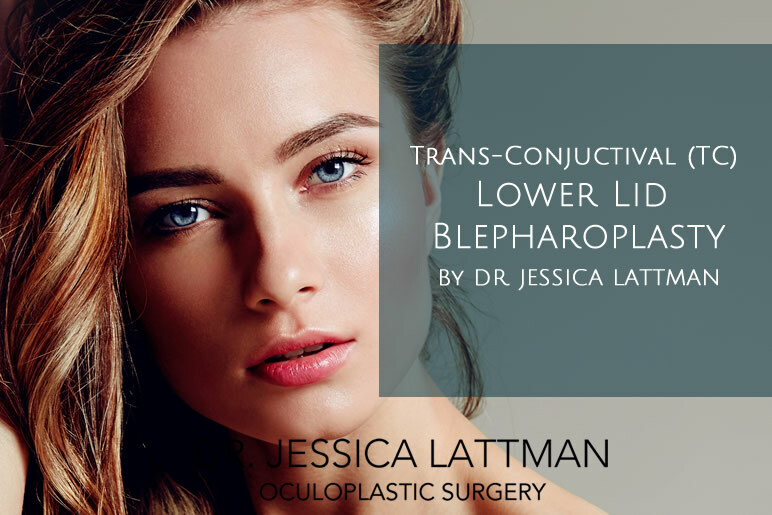 The main limitation after lower lid TC blepharoplasty is no heavy lifting for two weeks. For a personalized evaluation of your lower lids and surgical recommendation, it is best to come in for a consultation.